An Islamic State supporter who called for an attack on Prince George has had his minimum jail term cut on appeal. Husnain Rashid, of Nelson, Lancashire, used an online chat group to encourage supporters to target the young prince and published his school's address. 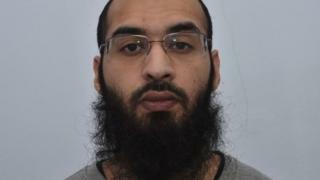 Rashid, 32, who admitted four terrorism charges, was handed a life sentence in July. But his 25-year tariff was reduced to 19 years by the Court of Appeal. Lord Justice Tim Holroyde, sitting with two other senior judges, upheld Rashid's life sentence rejecting an argument by his lawyers that it was not justified. But he said the original minimum term was too long, adding: "We accept that the judge fell into error in some aspects of his application of the sentencing guidelines." Police found nearly 300,000 messages on Rashid's mobile phone, and further evidence on his computer, when he was arrested in November 2017. The court heard he ran the Lone Muhajid channel on Telegram - an encrypted messaging app used by terrorists - where he provided detailed information to help people plan and commit "indiscriminate" acts of terror. His list of targets for "lone wolf" attacks, involved vehicles, weapons and bombs and included British Army bases, shopping centres and Government buildings. A month before his arrest, he posted a photograph of Prince George, then aged four, on a Telegram chat group, which sent a "clear message" that the young prince should be viewed as a potential target, the trial judge said. The picture was superimposed with silhouettes of two masked jihadi fighters and Rashid had added: "School starts early." Lord Justice Holroyde said Rashid also suggested injecting poison into supermarket ice creams and bringing down an aircraft using lasers. Rashid initially maintained his innocence, but changed his pleas to guilty after the prosecution outlined its case at trial.